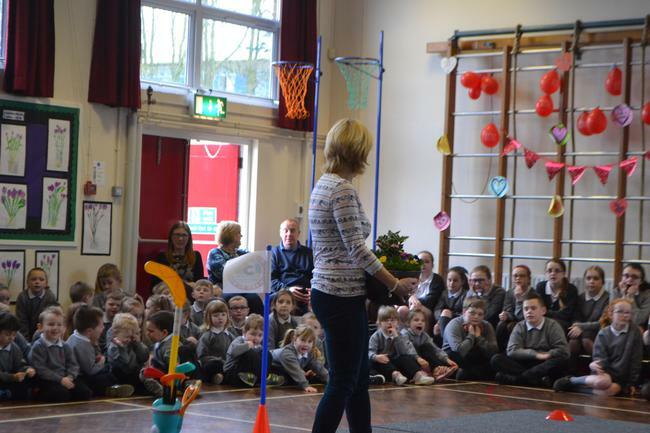 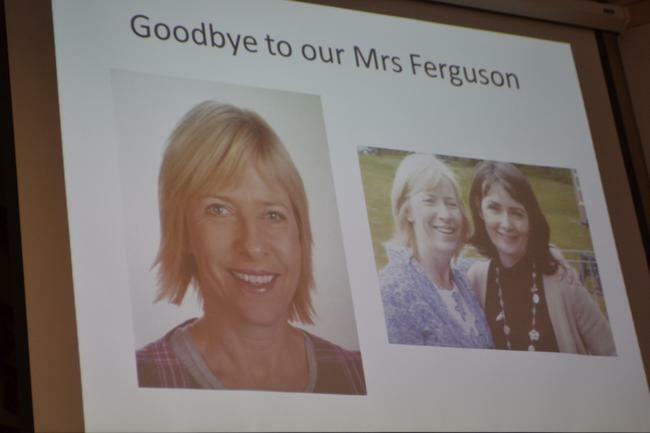 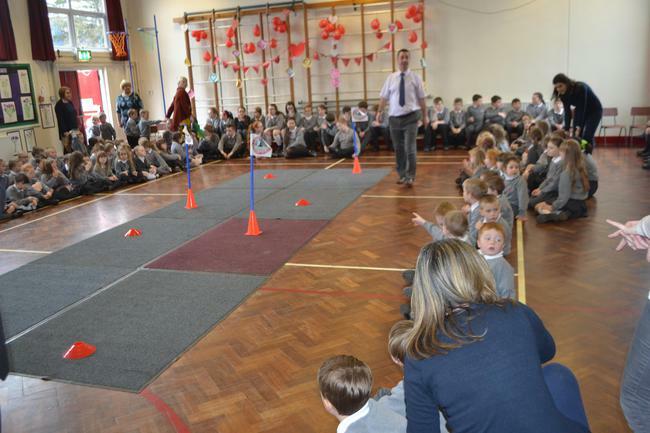 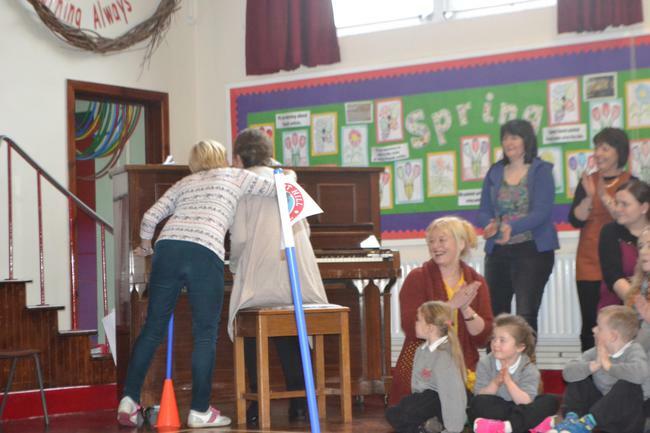 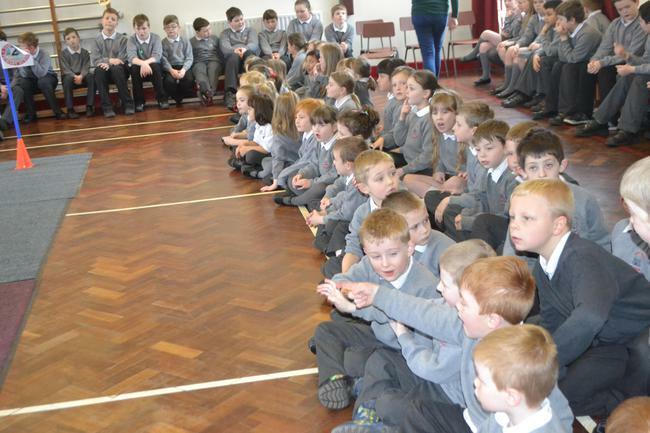 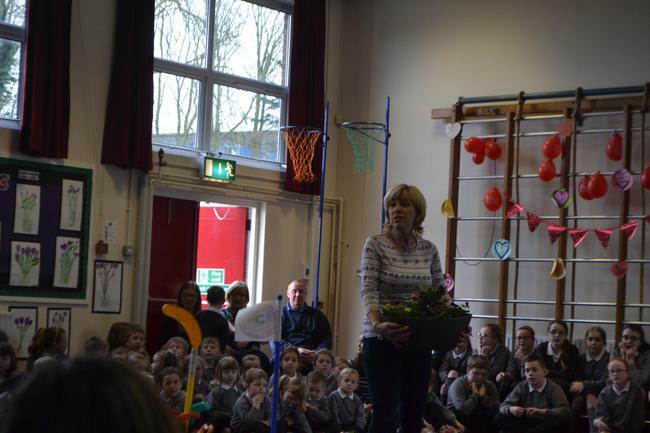 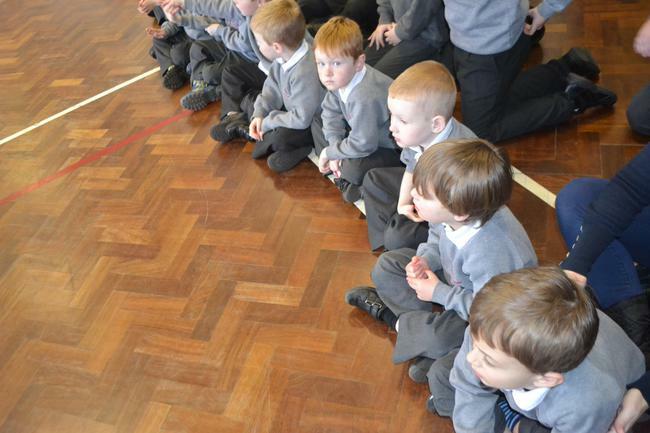 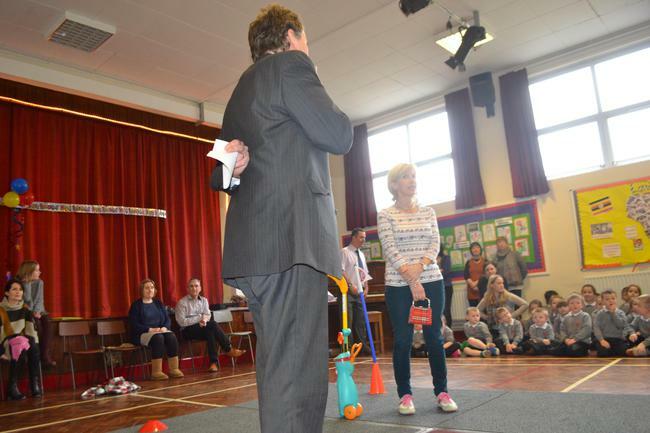 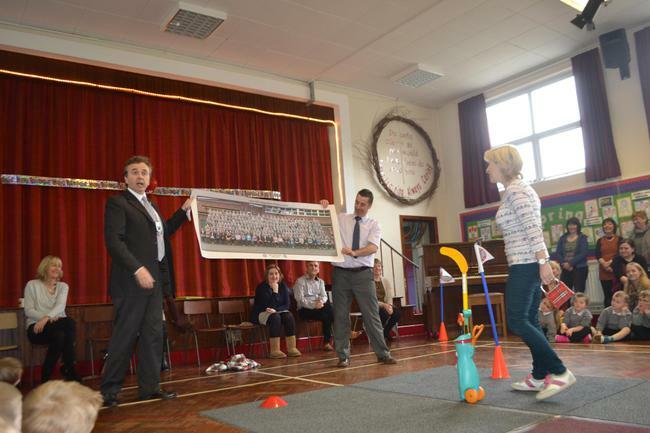 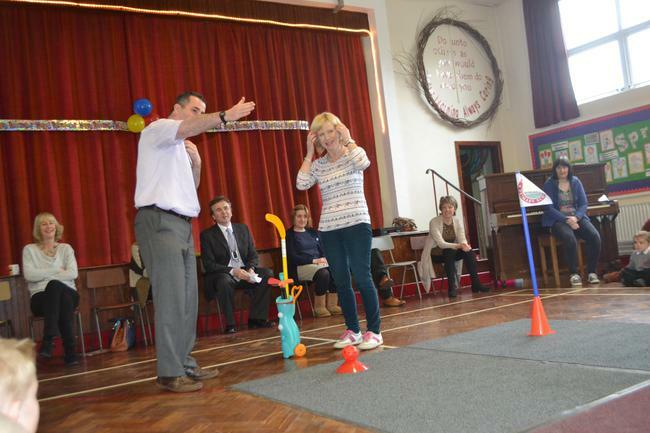 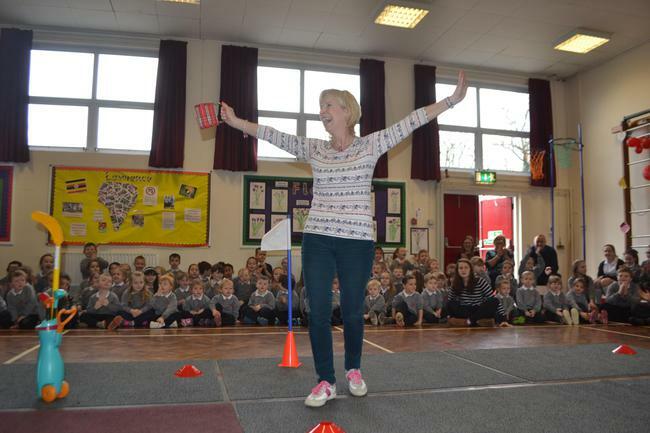 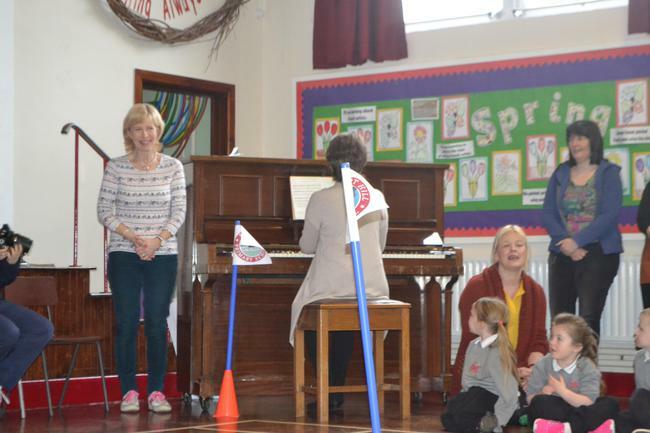 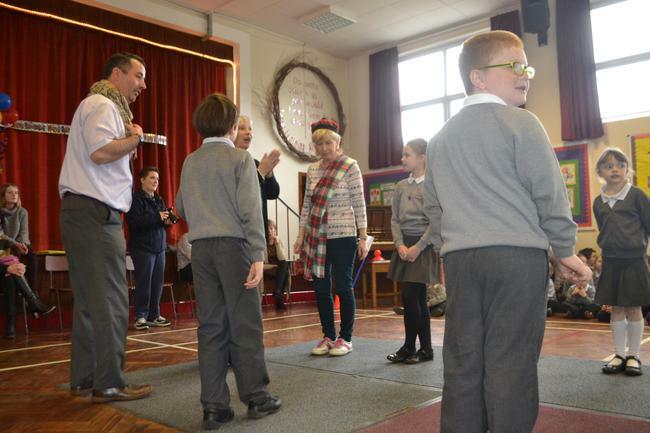 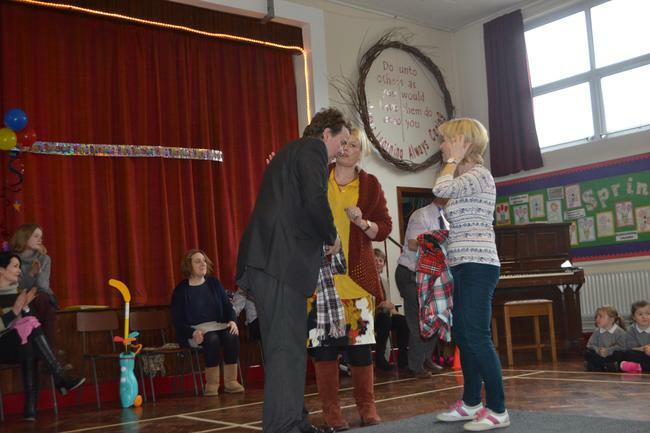 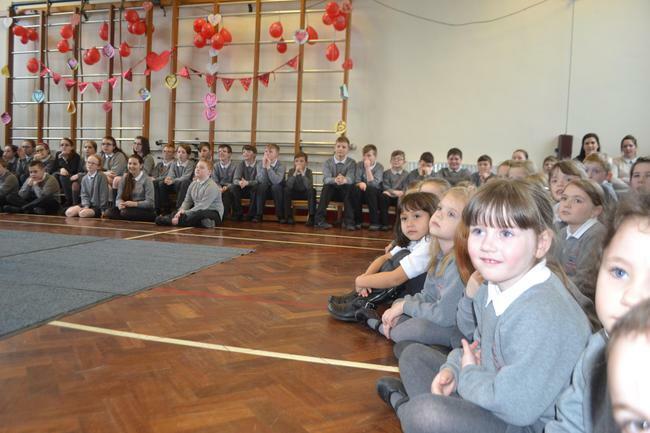 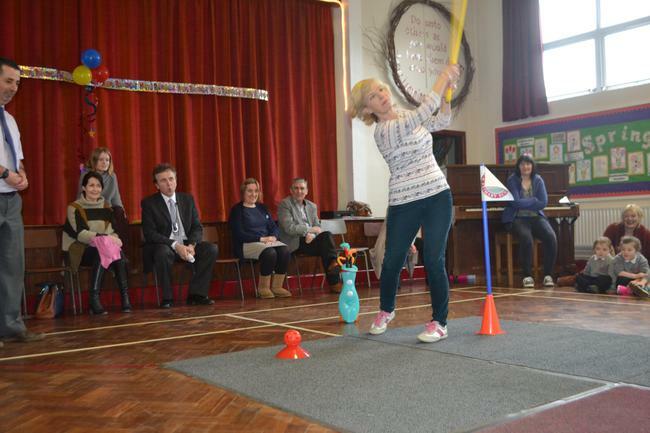 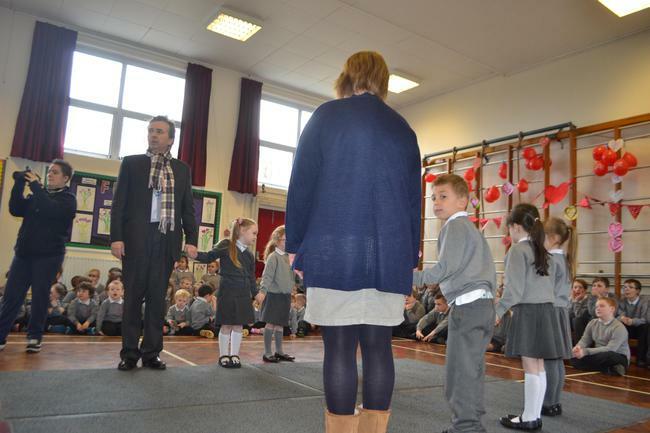 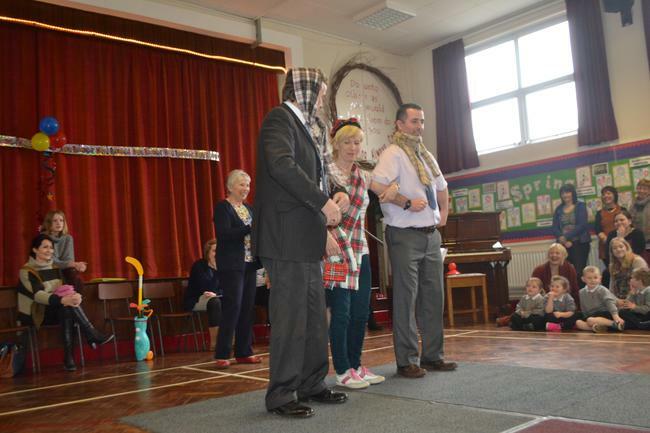 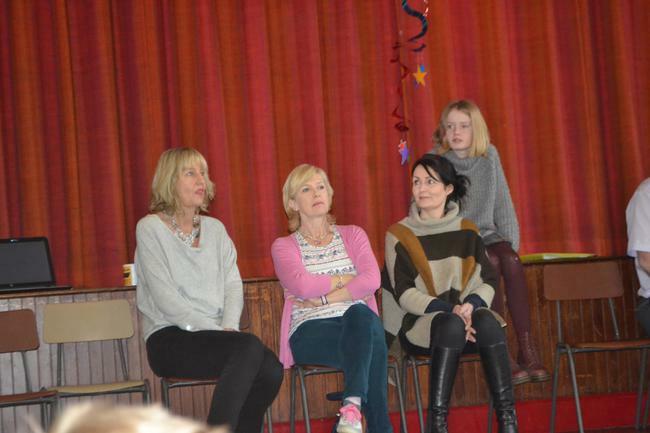 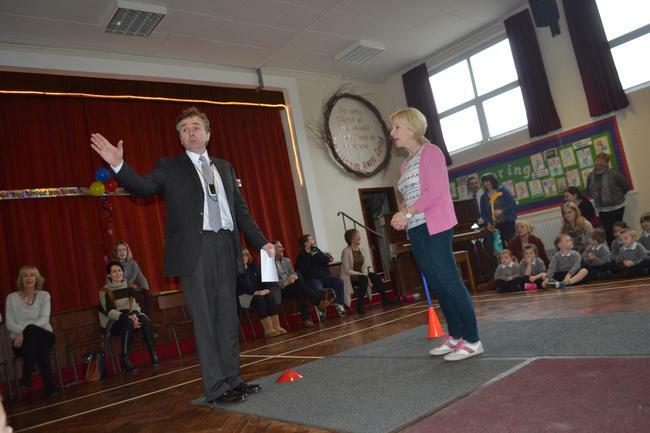 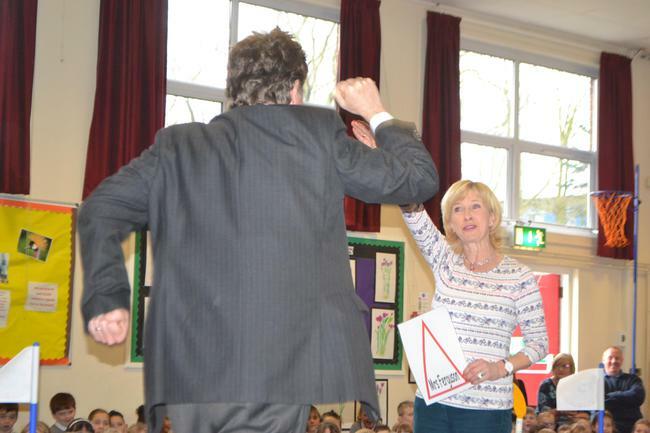 We held a SPECIAL ASSEMBLY - which highlighted some of Mrs Ferguson's 'contributions' to the school over the years. 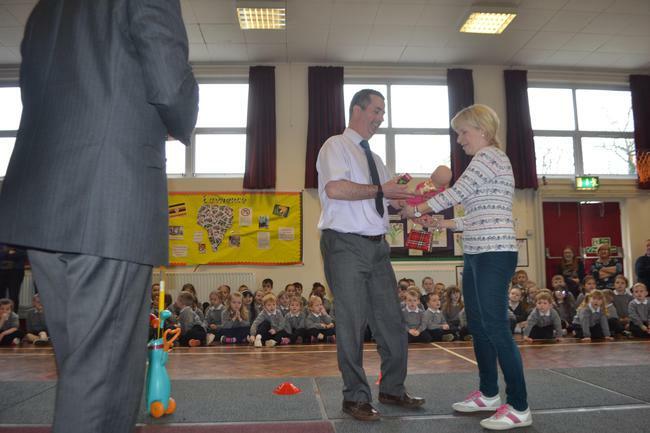 'correctly' she got a PRIZE! 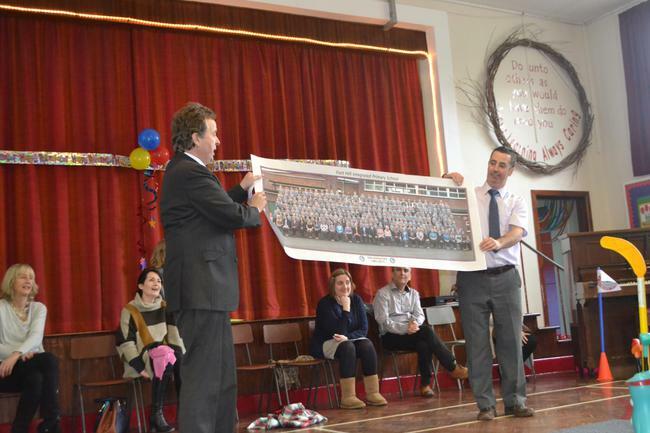 Large Portrait of the 'Whole School' - To remember all Pupils and Staff. 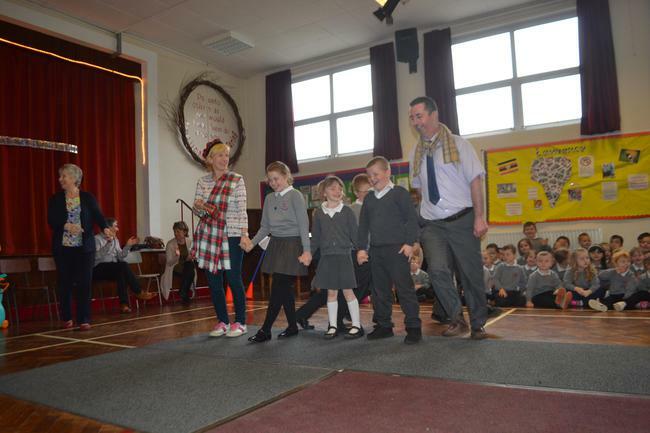 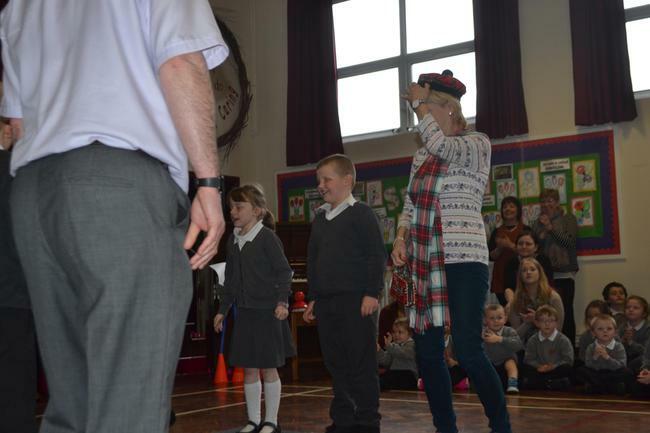 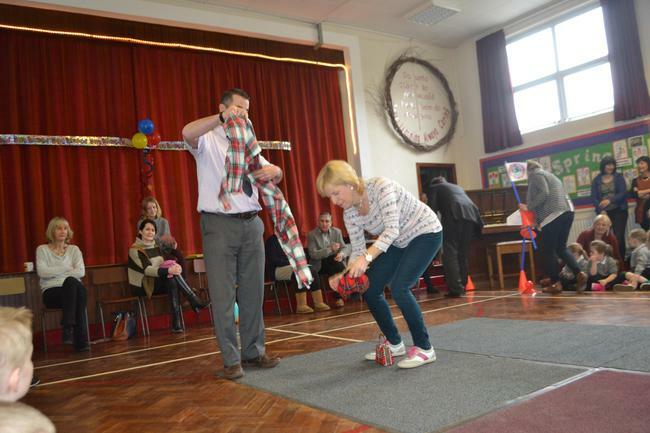 Tartan Scarf - Mrs Ferguson assisted Scottish dancing after school. 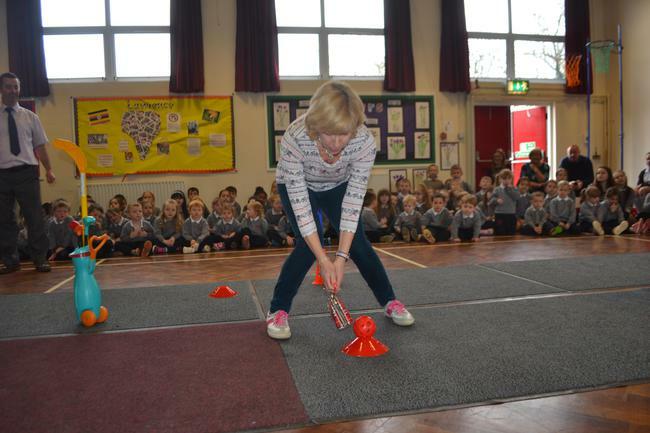 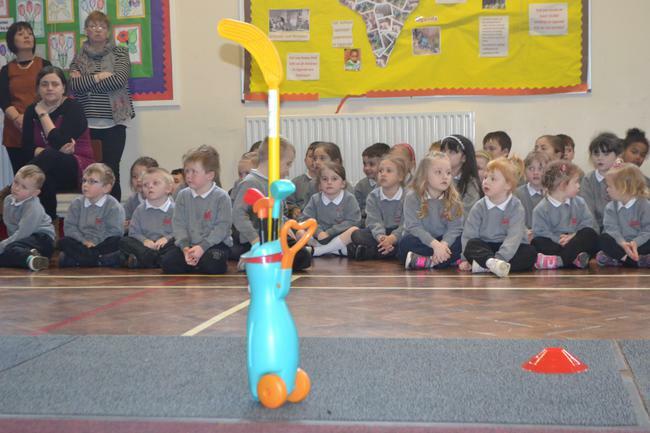 Golf balls - Mrs Ferguson enjoys playing Golf in her free time. 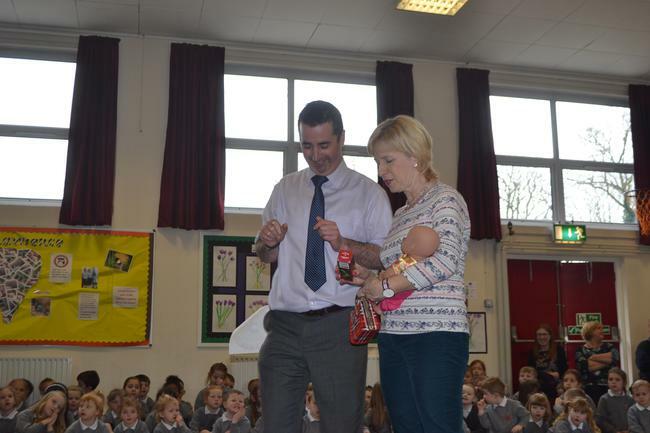 Doll - Mrs Ferguson cannot wait to spend more time with her Grandchildren!